England manager Gareth Southgate dislocated his right shoulder while running on Wednesday. The players had a day off from training and Southgate suffered the injury near the squad’s World Cup base in Repino. 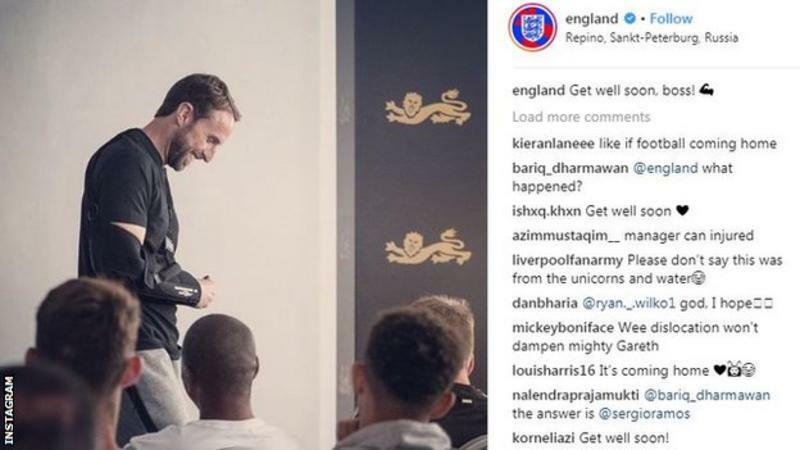 “The doc has made it clear punching the air is not an option,” said Southgate, who jumped in the air celebrating the injury-time winner in Monday’s 2-1 opening victory over Tunisia. “I might not be celebrating any goals as athletically in future,” he added. ← Neymar limps out of training….